Costume designer Roberto Williams fabricated Robin's pixie boots using a pair of store-bought canvas Kung Fu slippers as a basis. 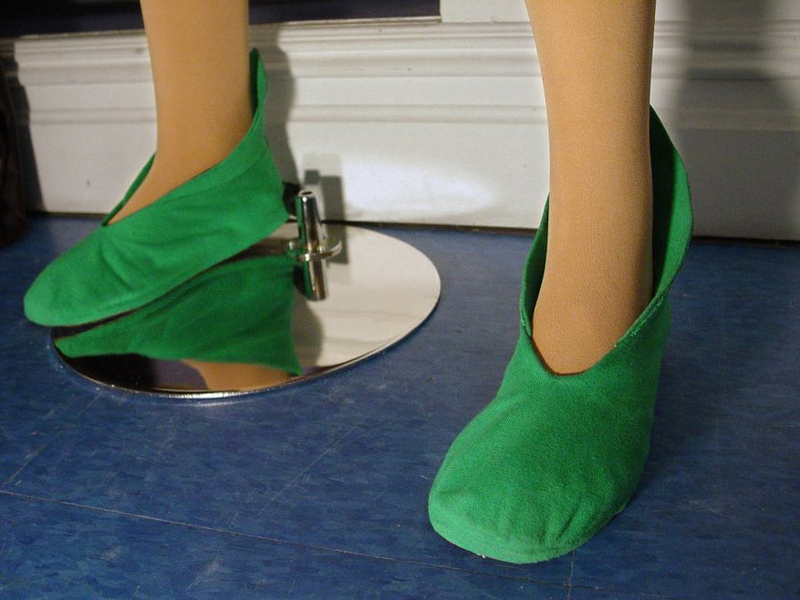 He used the kelly green stretch cotton fabric obtained from a spare Hanes boy t-shirt (purchased for this uniform) to veneer the shoes and create the pointed pixie flare along the rear. Utilizing the duplicate t-shirt fabric ensured precise color-matching of the costume's various green garments.